Tiny alarm clock in a classic shape. Excellent casual gift idea. Cute interior design item. 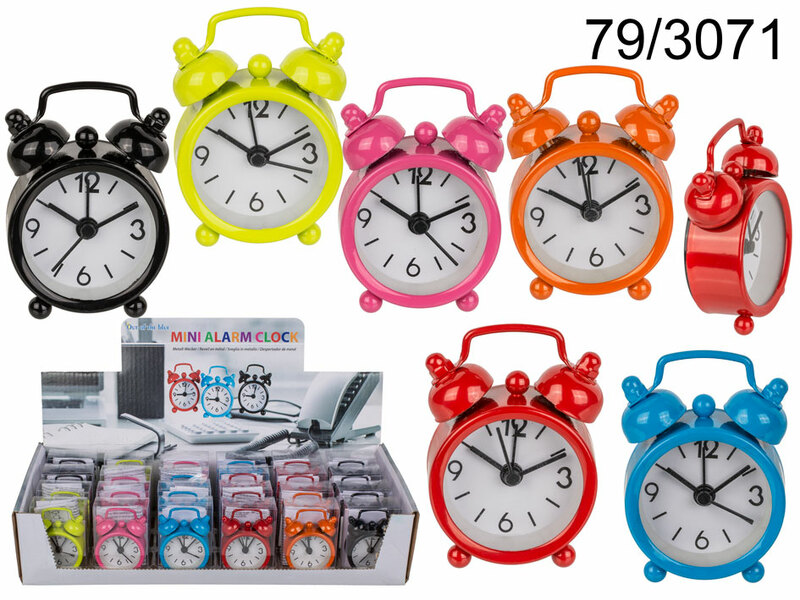 Display stand contains 18 alarm clocks. The given price is for 1 item. Assortment of 6 colours. Size: 6 x 4 cm.